What does custom editing include? Where do we go for our photo session? Where do we meet on shoot day? When do we receive our orders? When do we make our purchases? We are committed to delivering the absolute best in Heirloom Photographic Portraits & Museum Grade Prints. So, for a limited time you will receive Professionally Edited & Retouched Web Optimized File of with every print purchased at your proofing session. Compare first hand and Experience the difference a Life's a Beach Family Photography Heirloom print will make in your life. We are aware that you are traveling great distances to spend some precious time with your loved ones. We are also aware that getting your family portraits is a very special thing and in many cases a once in a lifetime event. 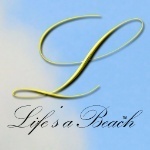 Let Life’s a Beach Family Photography Inc. make it an easy & trouble-free part of your vacation experience. Don't Let Your Memories Fade Away & Contact US as Prime sittings are limited!!! Click Here To See What Your Friends & Neighbors Are Saying About Us! Don't wait too long for a good sitting date and time as prime slots are going fast!